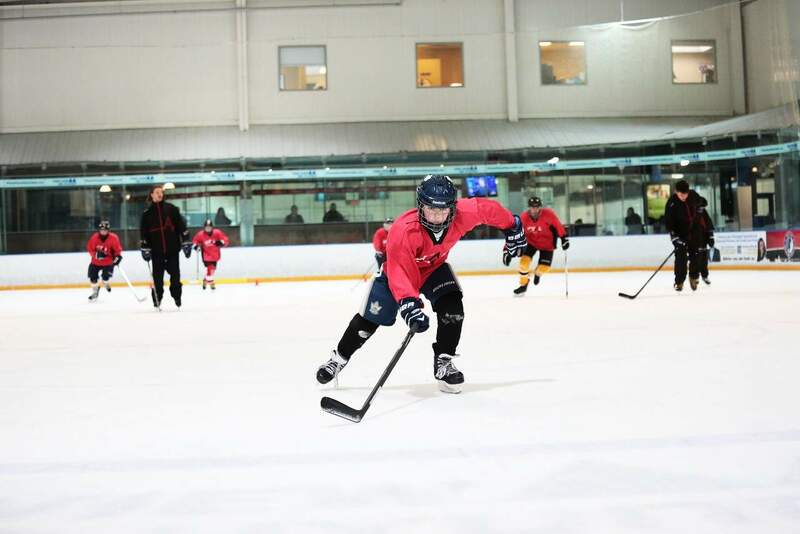 Whether you are a beginner looking to gain some balance, edge work and puck skills, or an advanced player looking for explosive agility and dangles, the Vital Hockey Skills Toronto March Break Hockey Camp is the right choice. 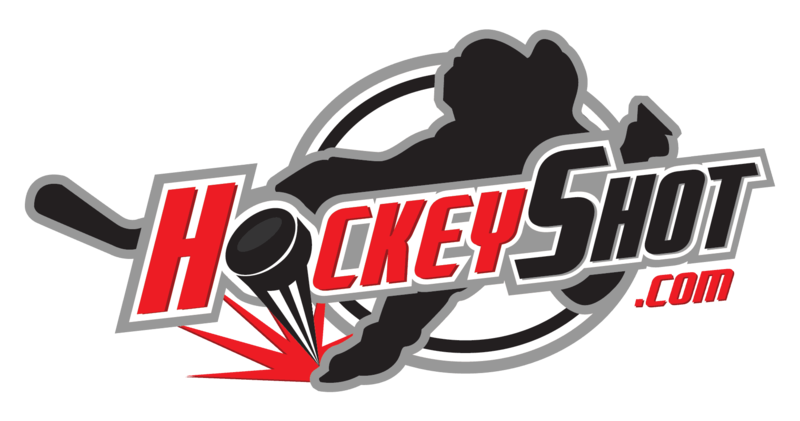 All registrants during Early Bird Pricing Promotional Period are entered into a draw for a Hockeyshot Shooting Radar! 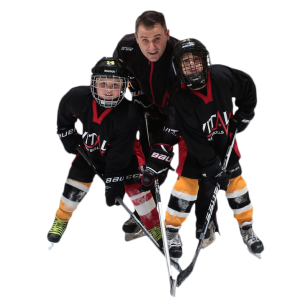 This Power Skating & Puck Handling program is intended for players looking to improve their current skill level. Intense focus on strength building, skating techniques and dynamic puck handling. Agility and edge work with and without the puck. This camp features an intense focus on explosive starts, acceleration, and transition from forward to backward. This session is a BODY CONTACT CLINIC designed for players that are entering body contact as well as those currently playing at levels where body contact is allowed. Whether you are new to contact or a veteran at separating the man from the puck, the truth is you need to be strong on your feet, safe and able to execute high intensity skills while staying low and accelerating! You don’t want to miss this one! Please select your child's CURRENT level of play. Are there any injuries, allergies or medical conditions we need to be made aware of? Please remember our Vital Hockey Swag Bag is included in the price with an $80 value. Please note there will be no refunds or cancellations accepted after a registration and payment has been submitted. There will also be no pro-rating of any kind for illness or inability to attend during the course of the camp. Please be 100 % certain that you plan to participate before submitting registration. Please fill in the name of your group of 6 or more, or the multiple sibling last name. Please note that all registrants that claim to be part of a group that falls under the 6 kid minimum will be charged the remaining balance at the door on the first day of camp. RELEASE OF LIABILITY FOR PARTICIPANTSREAD BEFORE SIGNINGIN CONSIDERATION OF the hockey skill development program and any related events and activities being offered (the "Program"), my child/ward, being allowed to participate in any way in the Program, including but not limited to participation in hockey related events and activities, I acknowledge, appreciate, and agree that:The risk of injury to my child from the activities involved in this Program is significant, including the potential for permanent disability and death, and while particular rules, equipment, and personal discipline may reduce such risk, the risk of serious injury does exist; and, 1) FOR MYSELF, MY SPOUSE, AND MY CHILD, I KNOWINGLY AND FREELY ASSUME ALL SUCH RISKS, both known and unknown, EVEN IF ARISING FROM THE NEGLIGENCE OF THE RELEASEE(S) (as defined herein) or others, and assume full responsibility for my child's participation in the Program; and, 2) I willingly agree to comply with the Program's stated and customary terms and conditions for participation.If I have any unusual or significant concern about my child's readiness for participation in the Program, I will remove my child from participation in the Program and immediately bring such to the attention of the nearest official; and, 3) I, for myself, my spouse, my child, and on behalf of my/our heirs, assigns, personal representatives and next of kin, HEREBY RELEASE AND HOLD HARMLESS Vital Hockey Skills, its directors, officers, officials, agents, employees, volunteers, other participants, sponsoring agencies, sponsors, advertisers, and if applicable, owners and lessors of premises used in connection with the Program (each, a "Releasee"; collectively, the "Releasees"), WITH RESPECT TO ANY AND ALL INJURY, DISABILITY, DEATH, or loss or damage to any person or property incident to my child's involvement or participation in the Program, WHETHER ARISING FROM THE NEGLIGENCE OF THE RELEASEE(S) OR OTHERWISE, to the fullest extent permitted by law, and 4) I, for myself, my spouse, my child, and on behalf of my/our heirs, assigns, personal representatives and next of kin, HEREBY INDEMNIFY AND HOLD HARMLESS all of the above Releasees from any and all liabilities incident to my involvement or participation in the Program, EVEN IF ARISING FROM THE NEGLIGENCE OF RELEASEE(S), to the fullest extent permitted by law. I HAVE READ THIS RELEASE OF LIABILITY AND ASSUMPTION OF RISK AGREEMENT, FULLY UNDERSTAND ITS TERMS, UNDERSTAND THAT I HAVE GIVEN UP SUBSTANTIAL RIGHTS BY SIGNING IT, AND SIGN IT FREELY AND VOLUNTARILY WITHOUT ANY INDUCEMENT.